Cameron Molberg began working with local farmers in 2007 as manager at a startup organic restaurant chain in Austin after receiving an education in institutional management, animal science, and food technology. After experiencing the shortage of local organic products, he directed his focus to the organic supply chain. He served as CEO and general manager of Coyote Creek Organic Feed Mill and World’s Best Eggs from 2010-2017, and he remains an owner of the business. Now focusing on projects in domestic and regenerative organic production systems, Cameron is CEO of Greener Pastures Chicken, a pasture-raised organic broiler operation in Texas. Known to some as an “encyclopedia in blue jeans,” Cameron consults with organic farmers, consumers, and organizations across the country. He is dedicated to supporting others in the local organic agriculture and food movement. He currently serves on the Real Organic Project’s Board of Directors and as treasurer of The Cornucopia Institute Board of Directors. 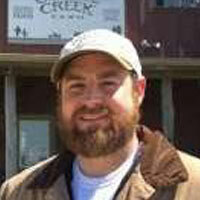 He previously served as treasurer of the Texas Organic Farmers & Gardeners Association (TOFGA).